Brother and sister team Gemma and Paul Young, co-founders of online property platform Settled, joined us on Twitter for #MIVReveals on Wednesday 25th October 2017. 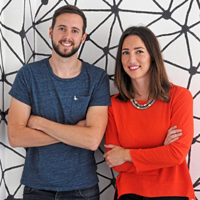 Having worked for the likes of Google and different real estate companies, Gemma and Paul combined their experience of property and technology and their great passion for empowering consumers (rather than a middleman) and they worked with lots of sellers and buyers to reimagine what property transactions should be like for this generation. Their vision for the future of property is one where finding, financing and selling a home is swift and straightforward; helping us all get Settled more easily.